Between a small showing from Fairleigh Dickinson fans and what seems like the whole country rooting for the return of Dunk City, the Dayton University Arena felt almost like a home game for FGCU on Tuesday night. However, there was one major factor missing, a factor that has had a big role in FGCU finishing tough games: the students. Following Sunday evening’s NCAA Selection Show, the Dirty Birds, FGCU’s official student section, sent out a text to its members offering spots on a bus to Dayton. For $125, which could cover bus and ticket costs, students could make the 1,100 mile bus ride to watch the Eagles’ first NCAA Tournament game since the 2013 Sweet Sixteen run. The Dirty Birds tweeted that they needed 40 students to make the trip happen. The Dirty Birds weren’t there. So, what happened? Only three students signed up and paid to go to Dayton. Athletics tried to get the price down for students, lobbying for extra funding from the Foundation and picking up a sponsor in new student housing option, The Reef, but decided to take the chance and hope for Raleigh, which would be cheaper. 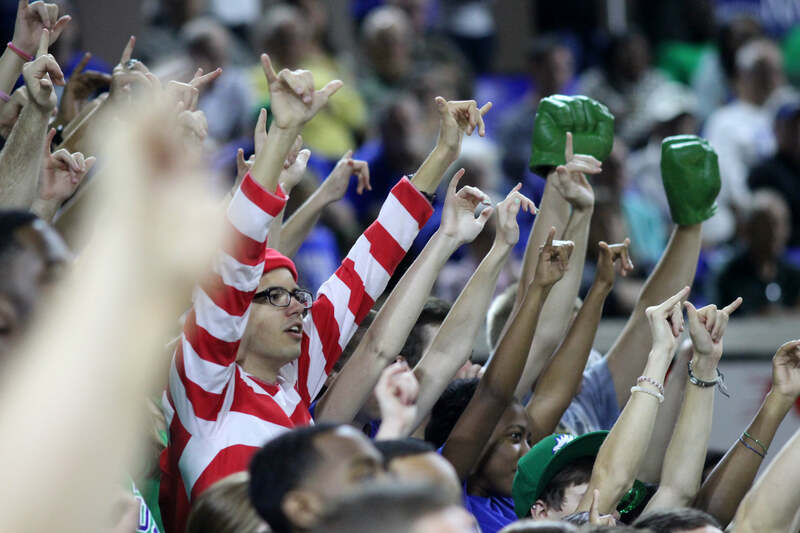 Despite no students, there was still a strong showing for FGCU fans, which included university President Wilson Bradshaw, former Board of Trustees chairwoman Robbie Roepstorff and several FGCU staff members. Although the Dirty Birds’ presence wasn’t dire in FGCU’s 96-65 outcome over Fairleigh Dickinson on Tuesday night, the same can’t be said for FGCU’s next matchup against No. 1 seed North Carolina. FGCU offered the same opportunity, an almost 800-mile journey to Raleigh, North Carolina, for $75. Luckily, the Dirty Birds were able to find funding for a trip to Raleigh. The Reef is sponsoring the trip with $2,500 along with the FGCU Foundation, which will take care of the remaining balance of the bus’ cost. The Dirty Bird bus was declared full Wednesday evening. The bus, which comfortably seats 55 students, will leave for Raleigh at 4 a.m. Thursday morning and will return to Fort Myers immediately after the end of the game. Dirty Birds will be hoping to outweigh a practically home crowd atmosphere for the Tar Heels and witness FGCU become the first-ever No. 16 seed to beat a No. 1 seed.